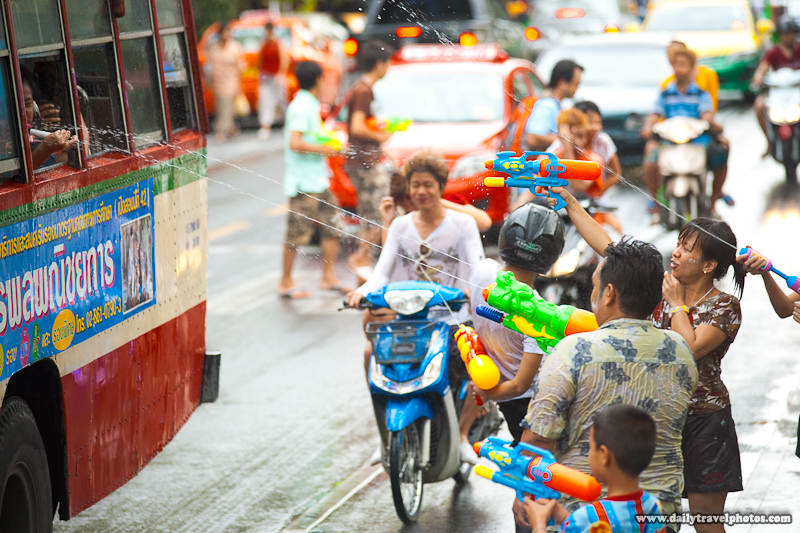 Innocent motorcyclists are caught in the crossfire of a watery battle with a bus during Songkran water festival. 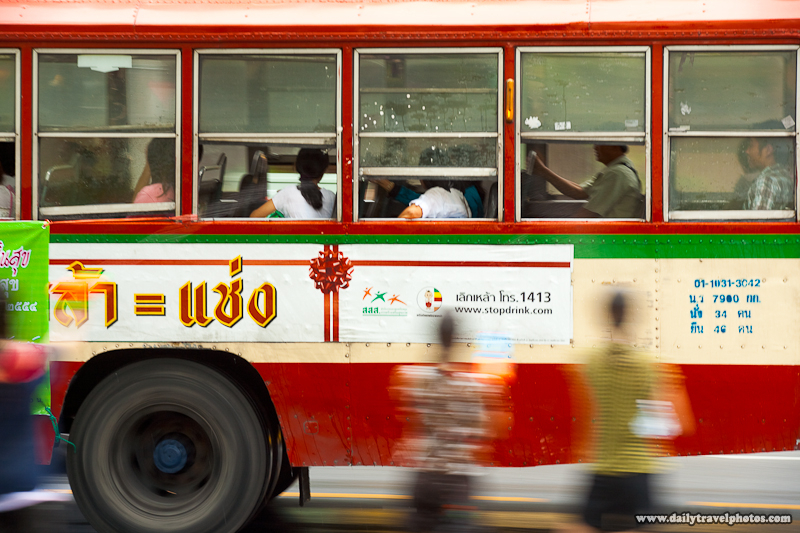 Passing buses made for perfect targets for attack, particularly if the passengers were unarmed and caught completely by surprise. Unarmed bus passengers are assaulted with water guns by armed pedestrians. It boggles my mind. There is complete water-fighting bedlam around but somehow, these passengers were caught by surprise by our water guns. You would think the passengers would close the window instead of being shot in the face by a surprise beam of water. A young girl desperately tries to close her window during the middle of a water assault on her bus. 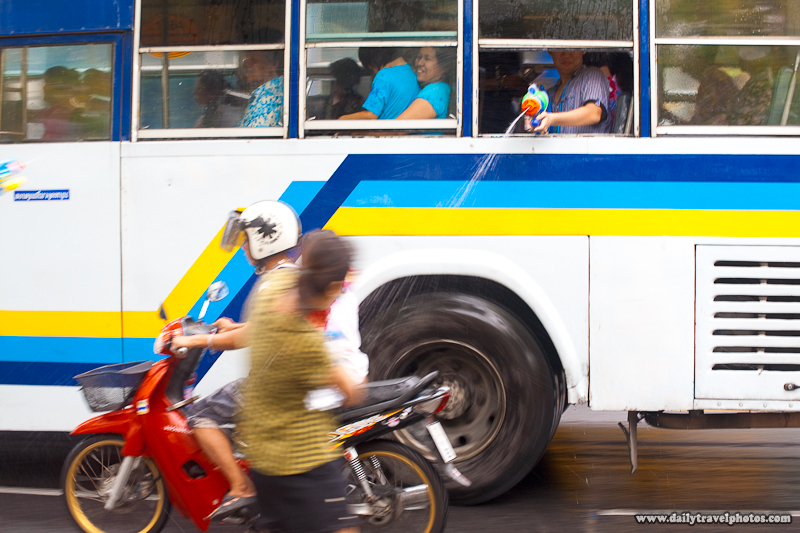 A bus passenger returns a lethal spray of water from the window of a moving bus during Songkran festival.